Just a short one today. 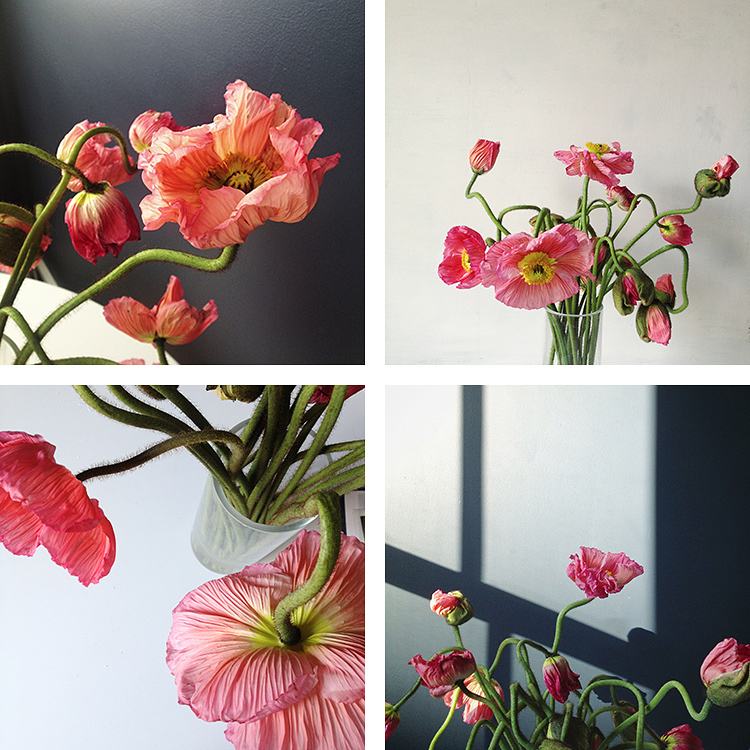 iPhone photos of poppies from a month ago. Their stems really have a mind of their own. I love these! The crazy stems make them even more interesting to look at! Oh goodness, I am in love with the whimsical bending of the stems! What beautiful flowers! I love the contrast in the bottom right one between the shadows' hard lines and the flowers' "squiggly" stems. these are so cute. so quirky looking. I've never seen those flowers before in the markets. Gosh they are so beautiful! I've just recently discovered your beautiful blog and your photos are just stunning! So beautiful! I need to buy flowers more often. So beautiful, love how you captured them in their 'wild' form. I adore poppies, and wish I could see more of them here. Interesting!How did you get their wild form?